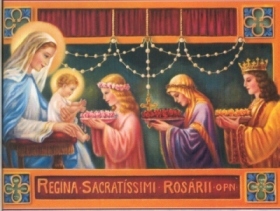 What is the Rosary you ask? 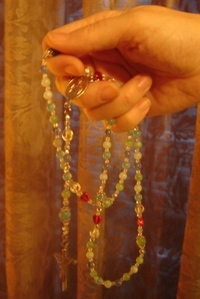 So many people, even Catholics, are not familiar with the Rosary, in these times when it can help us so much! Because of the simple & repetitive nature of the Rosary, most people look down on it as boring, unnecessary, or inconsequential to them. But God - who lowered Himself to take the nature of a Man - favours those who humble themselves to pray the Rosary of His Blessed Mother. Does God not love and exalt what is lowly and simple in this world? Both Jesus and Mary have repeatedly urged us to devote and entrust ourselves to the Rosary.